Australia Day celebrations tend to involve all-day drinking and all-night parties, but that isn’t everyone’s cup of tea. 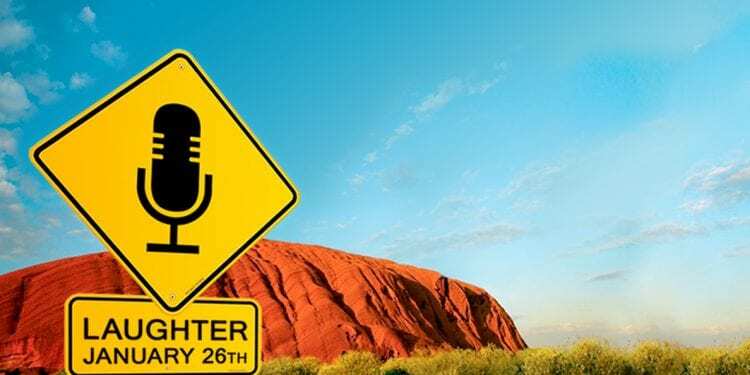 For the last five years, Comedy Carnival has hosted an all-Aussie stand-up comedy night, attracting people looking for an Australia Day event they can actually remember. Leading the comedy line up this year is Steen Raskopoulos, a Sydney-based comedian who has achieved acclaim at festivals across the world. Nominated for both the Edinburgh Comedy Award and the Barry Award, he is best known for his live character sketch shows and as a lead cast member in Whose Line is it Anyway? Australia. He is also one half of the award-winning improvisation duo The Bear Pack. Also from Sydney is Wollongong-born Ray Badran, known for his work on Good News Week and Triple J. Now based in London, Ray is keen to distance himself from feminist controversy surrounding a joke he did at Melbourne Comedy Festival in 2016. ‘Controversial’ could also describe comedian Anna Spark from Melbourne, also appearing in the January 26th show. In October 2018 she won a national new act competition in Manchester, with judges describing her comedy style as “audaciously funny, with close-to-the-bone material”. Last, but by no means least, is 6’7” Big Colin Cole. Colin started out as a bouncer at Melbourne’s famous Last Laugh Comedy Club and has since played gigs all over the world, from rugby clubs in rural Australia to the illustrious Comedy Stores in Sydney and London. Heckling is definitely not advised. Comedy Carnival’s Australia Day event takes place on Saturday 26 January at the distinctive Bush Hall, a restored Victorian-style ballroom located in the heart of Shepherd’s Bush, or as Aussies in West London affectionately call it, “SheBu”. Tickets can be booked online here for £15 (plus booking fee). The show starts at 8pm, with doors and Happy Hour from 7pm, plus a late bar after the show.